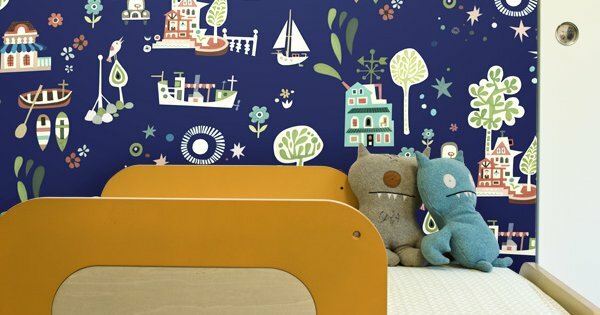 Wall stickers are fab for adding detail on walls here and there, but when you want to go the whole way and make the entire wall a feature, it’s wallpaper that you need. These gorgeous reels of the late great Jim Flora’s illustrations might be a blast from the mid-century past, but there’s nothing mid-century about their application! 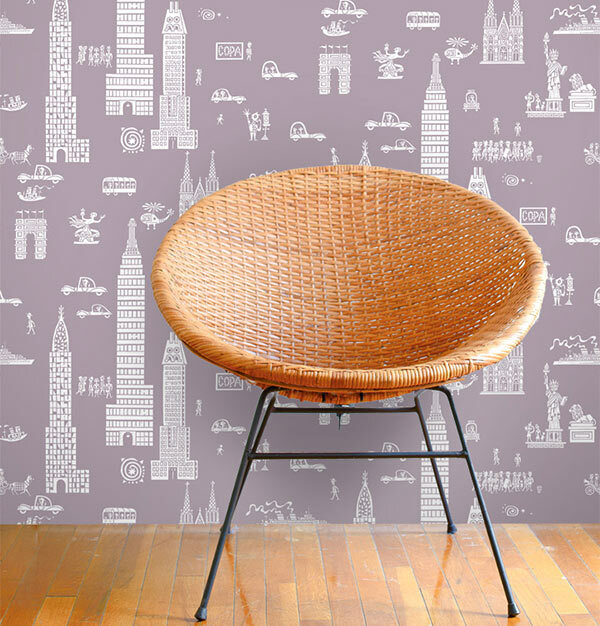 A collaborative work of the Jim Flora Estate, it’s easy to add a retro vibe to any wall with the help of this amazing printed wallpaper available at Design Your Wall. You’re spoiled for choice with illustrations including Bell Island, Circus, Fletcher Henderson, Forest Picnic and. my favourite, the busy hustle and bustle of the iconic Manhattan cityscape. Choosing your favourite illustration is just the first step, you then have to pick a colour. 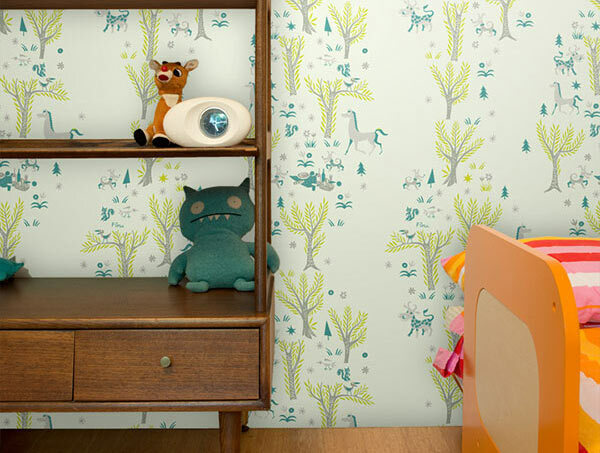 As for the application of your awesome Jim Flora wallpaper, there’s no glue – they’re self adhesive tiles and completely removable with no mess and little fuss. Traditional wallpaper rolls are also available and are cut a generous 1.3 metres wide, minimising the amount of rolls you need to cover your wall. It’s important to note that Jim Flora wallpapers are printed to order so there is a short lead time, but we’re sure it’s worth the wait. For more details and pricing information (prices vary on designs), head on over to Design Your Wall.